Unreal Lawns supply and install artificial grass in Huddersfield and the north west of England. We serve domestic and commercial customers in the area, with products suitable for a wide range of applications from outdoor spaces and gardens, to event areas, exhibition space and more. See below for some examples of projects we've carried out in the Huddersfield area. 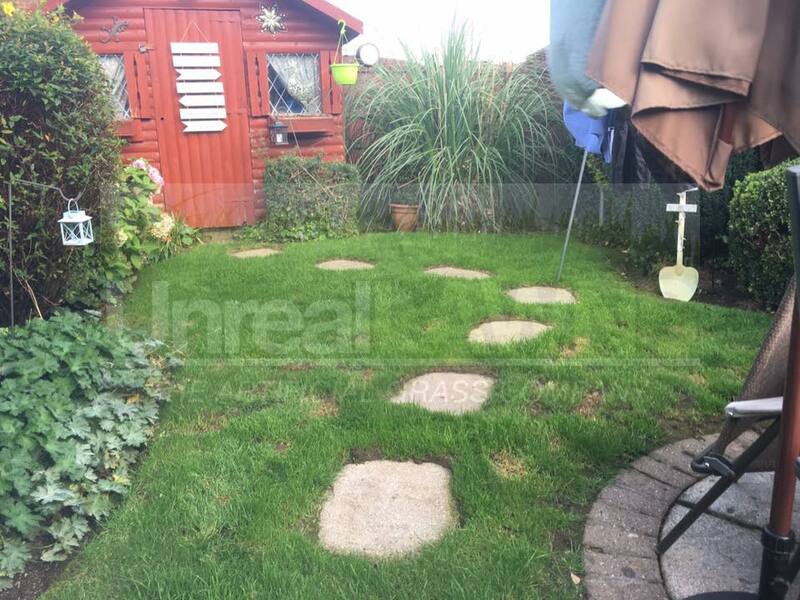 Unreal Lawns visited this lovely little garden in Huddersfield to install our artificial grass. 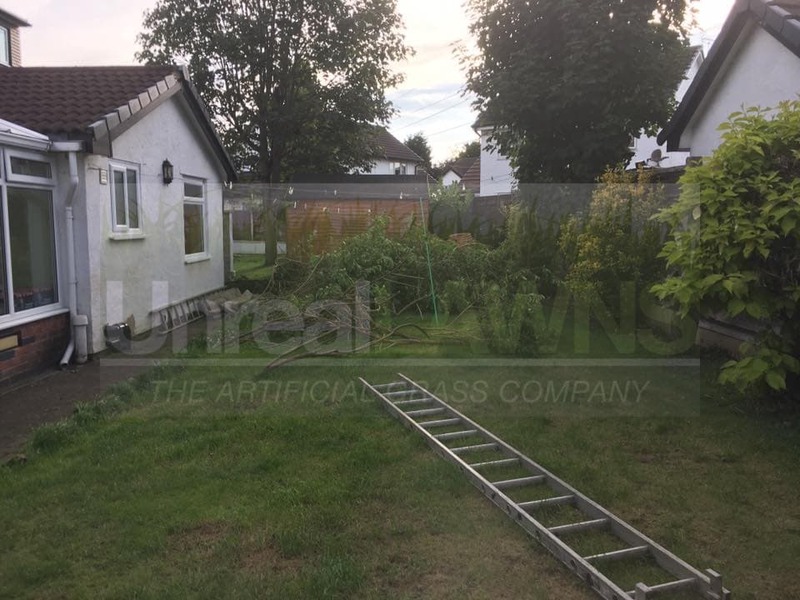 The previous grass was becoming patchy, and the customer had lost motivation to keep up with the maintenance it required. We installed our Supreme 38mm artificial grass and edged the garden off using contrasting red blocks. The customer wanted to keep their current stepping stones, which we think look great cut into the lawn. The finished garden looks much neater than it did, and the customer can rest easy knowing it will stay this way all year round. A customer based in Huddersfield asked us to come and install artificial grass in place of their old lawn. The existing lawn has become tired and dull and they decided it was time for a change. Unreal Lawns installed our Supreme 38mm artificial grass and fitted an edging made from old railway sleepers. These go perfectly with artificial grass. The customer was happy with the end result, and their neater and greener garden. 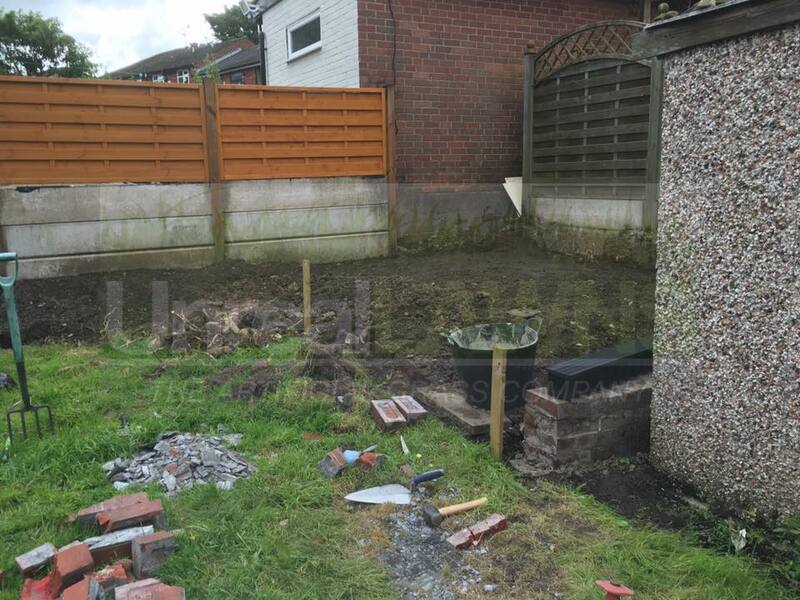 This garden transformation in Huddersfield was no small job to contend with, but Unreal Lawns were more than happy to help. The previous garden was untidy to say the least, as well as being spread across multiple levels. After installing our artificial grass throughout however, the garden has been transformed. The finished garden looks neat, green and modern, creating a perfect space for the family to spend time in. They were over the moon with the work completed and the quick turnaround of 3 days to finish it.